You choose the tour and schedule! 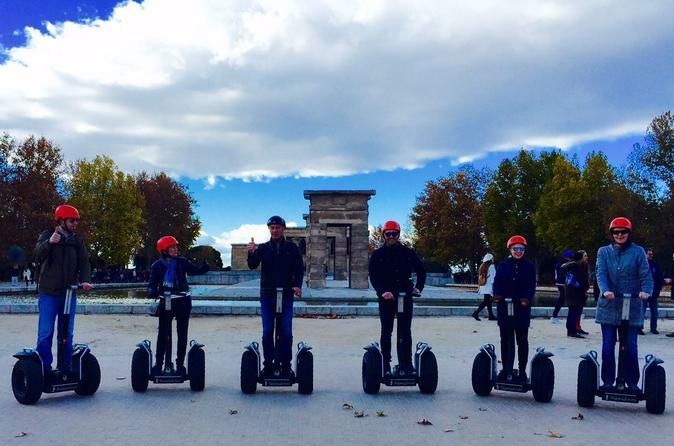 Riding a Segway is the easiest and most fun way to discover the most emblematic places in Madrid! Choose from different tour duration such as 1-hour, 2-hour or 3-hour and get to know all the highlights that the city has to offer such as: The Almudena Cathedral, The Royal Palace, Templo Debod, The Opera Square, The door of the sun, Main square and Santa Ana square among many others. All of this and more while you ride accompanied by an expert guide! Come try the Segway on a unique tour of Madrid!